The Plug Inn Wall Clock Black is one of those piece you just can't help but admire. 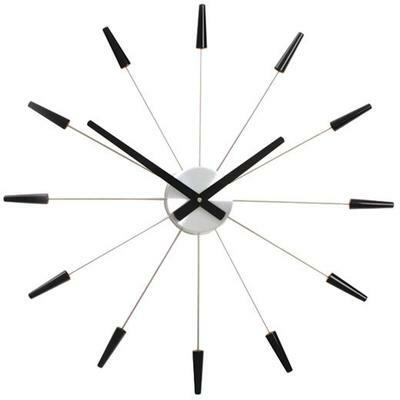 Designed to be simple, this clock is perfect for those who want something minimal yet stylish. Measuring a rather impressive 60 cm in diameter, it would make quite a statement on a bare wall or even inside a reception space. 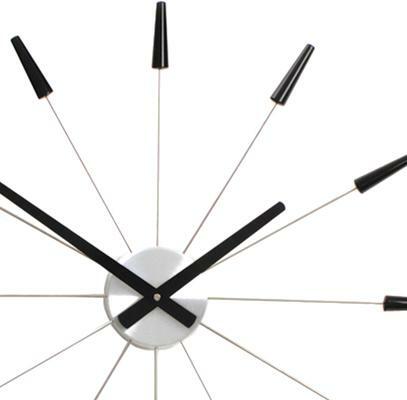 The clock is made using a combination of metal with plastic tips. The aluminium spokes jut out from the circle. At the same time, there are also black metal clock hands from the centre which help you tell time.